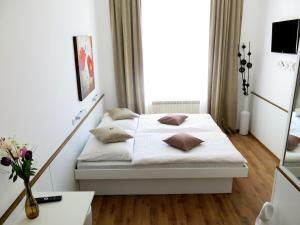 Vienna’s KIBI Rooms lies opposite a Billa supermarket and is within 400 metres of the Rochus market, public garage parking, the U3 metro station Rochusgasse, a bus station, the Akakiko Japanese restaurant and the Das Rochus cocktail bar. The Rochuspark, a cinema, shopping centre, and the metro station Landstraße Wien Mitte are all within 400 metres. The palaces Belvedere and Palais Schwarzenberg are both within 2.5 km, and the Stadtpark is a 10-minute walk away. Rooms at the KIBI have free Wi-Fi, satellite TV, and a bathroom with a shower and toilet. The State Opera, the Kärntner Straße shopping street, St. Stephen’s Cathedral and the Prater Park can all be reached on foot within 30 minutes.